While the infancy of the HR analytics market has thus far prevented HR from taking the sophisticated approach to data analytics seen in other departments, such as finance, we’re due to see an explosion in people analytics in the coming years. Analyst Josh Bersin recently described people analytics as “the lynchpin of success for HR,” and for good reason. People analytics can measure employee performance in all relevant areas, thereby providing HR teams with unprecedented understandings of their workforces and leading to transformative new people strategies. HR professionals have long known about the need to better communicate people strategies in the ROI-driven context of the executive boardroom. 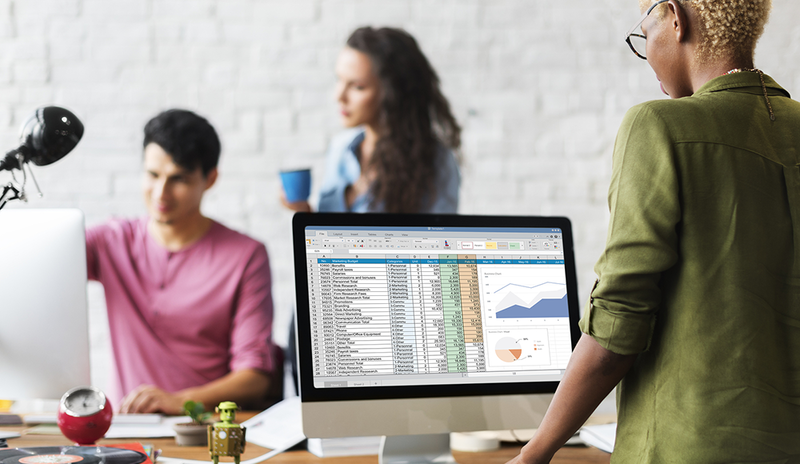 Analytics tools are helping HR pros do just that, furnishing teams with data on the costs and results of everything from individual recruitment ads to employee engagement initiatives and training programs. However, all this new data and insight will only have value if HR professionals have the skills and knowledge to analyze and draw meaningful conclusions from it. To do this, they need to approach HR and benefits from the perspective of a data scientist. A data scientist wouldn’t dive into the data without first formulating a question about the subject they are examining and constructing hypotheses to explain what they’re observing. Likewise, HR teams need to understand the specific problems they are trying to solve when they leverage data, be they people issues or business challenges. Trying to do everything at once by exploring reams of data will get you nowhere. Instead, define your specific outcome. For example: “I want to know the impact of benefits on retention.” From here, you can work out what data you need and what questions you need to ask of that data. Scientists gradually uncover the truth by proving that something is untrue and discounting it. If HR pros are to follow this example, they’ll need to test their hypotheses through experimentation. Continuing our example of the relationship between benefits and retention, the hypothesis could be that employee benefits have no impact on retention rates. If the data shows a correlation between benefit utilization and retention rates, then the initial hypothesis has been disproven. The data will likely also point you in the direction of a new hypothesis for further testing. This brings me to my next point: HR pros can’t rely only on the data they have on hand. High-level data regarding benefits and retention may disprove the first hypothesis, but it can’t explain exactly what the relationship between the two is or why it exists. To really explore the complex relationships that exist in any business, you need data that is deep and rich enough for the task at hand. If your data set falls short, then work out where the gaps are and find ways to fill them. Most people tend toward big projects. These projects are challenging and, therefore, rewarding when completed, and they give you a chance to demonstrate your abilities. In the case of people analytics, however, it’s better to err in the opposite direction. Small and often are key. Run regular, small projects to disprove small hypotheses, and build up a steady body of evidence that way. Following this course will also make failures less damning: Rather than realizing your hypothesis is wrong halfway through a big project, you can take your small failures in stride and move on to the next test. Failure isn’t always a problem. In fact, it is usually a critical step in the journey to success — especially in data science. As you analyze your data, you won’t always get the results you want. The important thing is to figure out why something isn’t working and take that into account for your next test. Sometimes, your hypotheses will seem unprovable either way. When that happens, there’s no shame in changing your hypothesis or moving to the next one. Not every answer will be easily discovered through data. If you return to that hypothesis later, you might find that you’ve gained new skills — or better yet, valuable new data — to help you tackle it. Eventually, you’ll build up a body of evidence that you can use to support your arguments and suggestions with respect to people strategy. Now, it’s time to present your findings to your decision-makers, drawing on the right data and facts to make an indisputable business case — and ultimately, affect positive change in your organization. Realistically, no organization can expect its HR team to become full-fledged data scientists overnight. It takes time to understand new technology like people analytics, but this is time worth investing. People analytics are coming to revolutionize the human resources field. It is up to HR pros to master that tech in order to utilize it to its full potential. Matt Jackson is vice president of Thomsons Online Benefits. Matt Jackson is the vice president of client solutions at Thomsons Online Benefits, the company that created Darwin, the No. 1 global benefits management and employee engagement platform. Passionate about innovative technology that can transform HR functions, Matt works closely with clients to help them get the most out of Darwin, educating them on everything from what it is and the value it delivers to how it is implemented in complex environments.